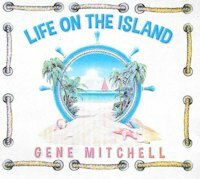 LIFE ON THE ISLAND, the 14th CD by Gene Mitchell, with 12 new original songs, is now available by clicking on the CD cover to the left. It will be available for immediate download from iTunes and CD Baby soon. Welcome to the web site of Sailor Boy Records, featuring the music and story telling of Gene Mitchell. 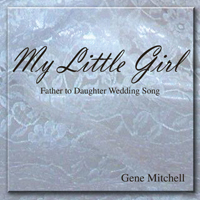 HAPPY TROPICAL ANNIVERSARY and MY LITTLE GIRL, available for download on iTunes. Click on the CD covers and it will take you right to iTunes to download. (Both these songs appear on the full length CD TROPICAL COUNTRY. 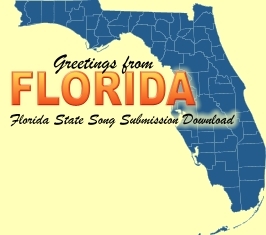 WELCOME TO FLORIDA © 2002, with two song sing-a-long CD. There are even .MP3 music samples to download and enjoy. To order, follow the link to our order form, enter your credit card information, and your CDs will be shipped in a matter of days. 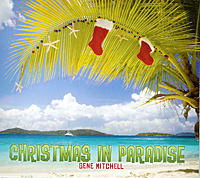 There is a lot of talent in the island music world, and in my opinion Gene Mitchell is the cream of the crop. 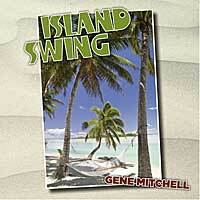 Gene is a good writer and singer and we know you enjoy his music. HALF-TIME SHOW AT THE 2007 CAPITAL ONE BOWL ON NEW YEAR'S DAY ON ABC Television. There was a live audience of 65,000 and an estimated 17 million TV viewers. Gene thanks all his fans for helping him keep making music over the years that eventually led to his kicking off 2007 with his national television debut. BIG COCONUT FAN CLUB HAS BEEN CRACKED OPEN! Click on the Big Coconut Fan Club Logo and you will be directed to the Big Coconut Fan Club page where you can join the fan club and get a Big Coconut T-shirt and also can join and get a T-shirt and Dancing On The Beach CD for a special price. You can review all the the lyrics to the 14 songs on DANCING ON THE BEACH by clicking on the icon "Lyrics" at the top of the homepage. 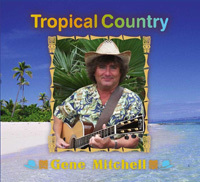 Gene Mitchell's songs are played on national radio, Sirius/XM Satelite Radio, and other AM/FM and internet radio stations around the country. His songs have been featured on television shows on ABC, MSNBC and Fox. You might hear his music on the air, however the best place is right here. You can review information about CDs, listen to sound clips of songs and purchase CDs with the click of the mouse. Enjoy your visit to Sailor Boy Records. 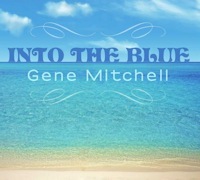 Gene Mitchell was born and raised in a harbor town on the southeast coast where he began writing and performing music. He served our country in the United States Navy for 21 years and was decorated with the Meritorious Service Medal from the President of the United States among other Medals from the Secretary of the Navy. He continued his songwriting and performing while in the Navy, and earned two college degrees with honors. During his 21 years in the Navy wrote and produced songs about sailing and adventures in more than 30 countries he visited. Though his music still maintains that southern style, his years in Hawaii, the South Pacific and the Caribbean strongly influence his jazzy island styles. Gene has continued to write since becoming a full time musician and has released 13 high quality full length CDs of original music, including a full length Christmas CD. Gene's CDs feature top musicians and recording engineers in the industry with the result being the finest recording and production. 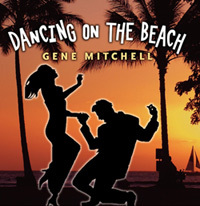 Two of Gene's CDs feature artwork by world famous Florida artist Paul Brent. Gene's music has been featured on ABC, Fox and MSNBC and Gene was the featured headline entertainer for the 2007 Capital One Bowl College Championship game, viewed by 17 million and a live audience of over 65,000. Currently Gene has over 100 published songs. 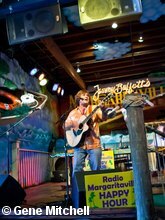 Gene resides in Florida and continues to write and produce songs with a 14th CD scheduled for next year. Go to Google.com and search "Gene Mitchell" to find out where Gene has been and is going. Click on News/Gigs on this site for updated information. 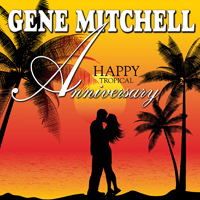 Gene Mitchell has recorded with some of the best musicians in the industry and you will find them all on his CDs of original music. Members from Kenny G's band, Jimmy Buffett's Band, George Strait's band and members who have played with everyone from Dolly Parton to Garth Brooks. Expect professional production and arrangements on all Gene's CDs. Gene is available for performances throughout the United States and travels solo playing guitar and singing his original songs and cover songs listed above, click on "Song List." Gene performs his songs solo on most occassions. Performances with a full band is available for promotional events and performance with the musical soundtracks from his albums is also available. Contact SailorBoyRecords.com for booking inquiries.